32 page comic ONI PRESS INC. There's something up there. 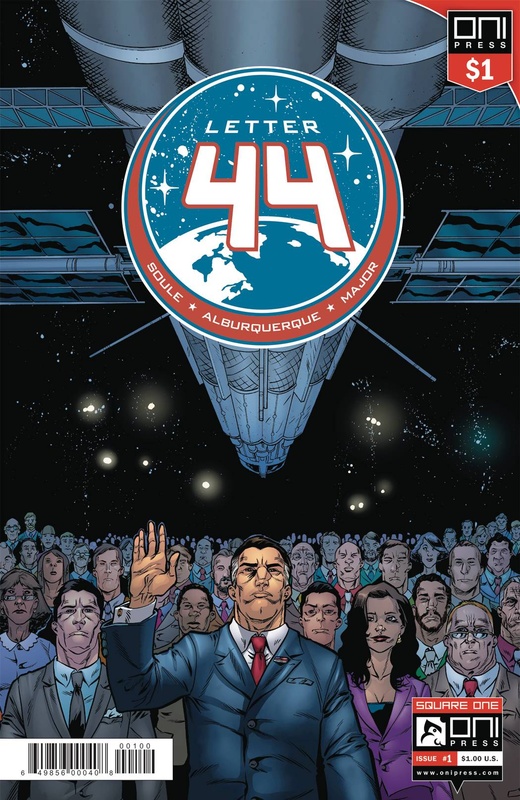 As newly elected President Stephen Blades reads the letter left for him in the Oval Office by his predecessor, he learns this stunning secret: seven years earlier, NASA discovered an alien construction project in the asteroid belt. A crew of heroic astronauts was sent to investigate, and they're nearing the conclusion of their epic journey. Don't miss the first chapter in this thrilling tale of real-world space travel, intrigue and secret histories.